Great Explorers There are 2 products. 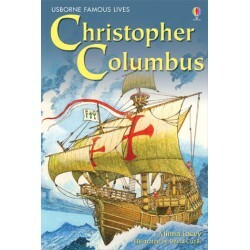 Vivid account of the extraordinary life of the explorer, Christopher Columbus. Lively narrative text, colourful illustrations and photographs bring the subject to life. Includes essential facts and insightful details to help the reader understand the famous person and their times. Non Fiction. History. Hardback. Age 7-8.